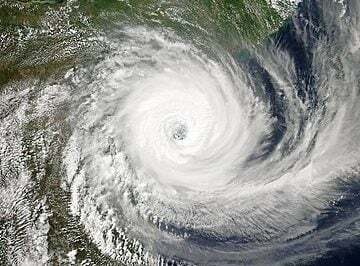 Glaciologists from the University of California, Irvine, NASA’s Jet Propulsion Laboratory and the Netherlands’ Utrecht University looked at Antarctic ice mass between 1979 and 2017 and found a sixfold increase in yearly ice mass loss. 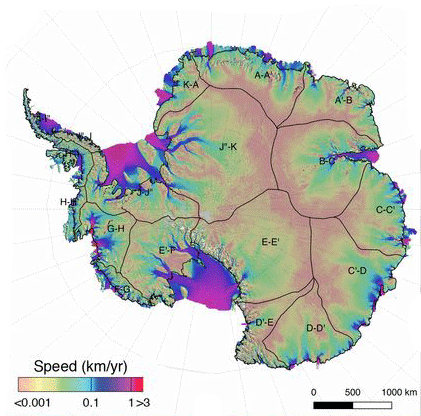 Researchers analyzed 18 regions encompassing 176 basins and islands in Antarctica to understand changes in year ice mass rates. Between 1979 and 1990 about 40 gigaton of ice were lost each year. That rate accelerated to 252 gigatons per year from 2009 to 2017. Between 1997 and 2017, most of the acceleration in ice loss rates came from West Antarctica (48 Gt/y per decade). East Antarctica experienced 29 Gt/y per decade and the Antarctic Peninsula had a ice loss rate of 16 Gt/y per decade. 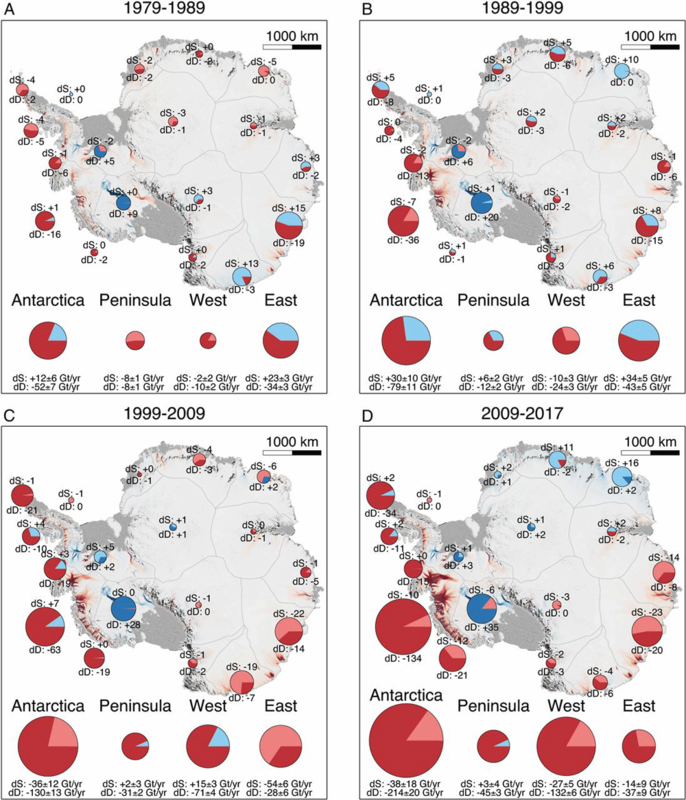 Ice mass balance of Antarctica using the component method (SMB, on grounded ice minus ice discharge, D, at the grounding line) for (A) 1979–1990, (B) 1989–2000, (C) 1999–2009, and (D) 2009–2017. Figure: Rignot et al., 2019. The regions with the largest ice loss were Amundsen/Bellingshausen Sea sectors, in West Antarctica (159 ± 8 Gt/y), Wilkes Land, in East Antarctica (51 ± 13 Gt/y), and West and Northeast Peninsula (42 ± 5 Gt/y).